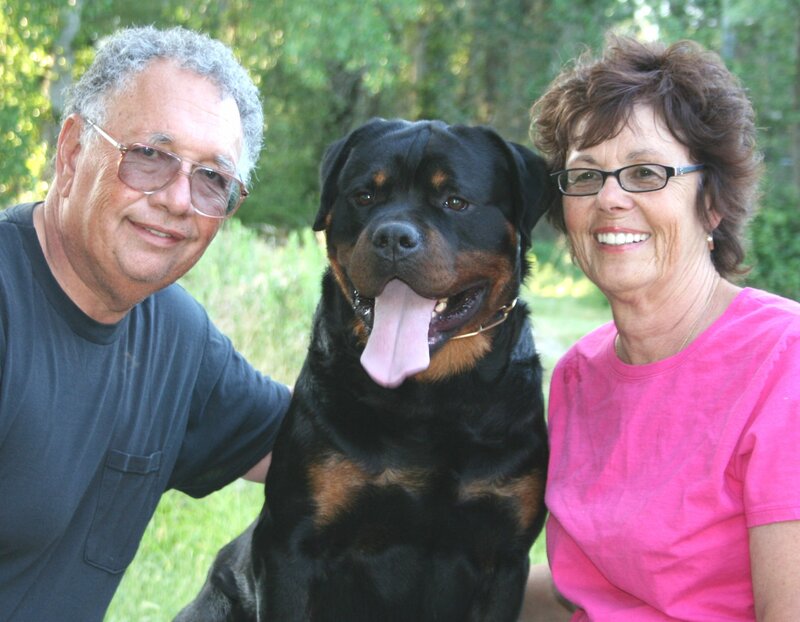 We purchased our first Rottweiler in 1971. This dog was our Taraus of Gertase OFA #580. We first used the kennel name Haustier in 1979 and have bred under that name since then. We have imported only quality dogs from some of the most well known kennels in Germany and now Serbia. 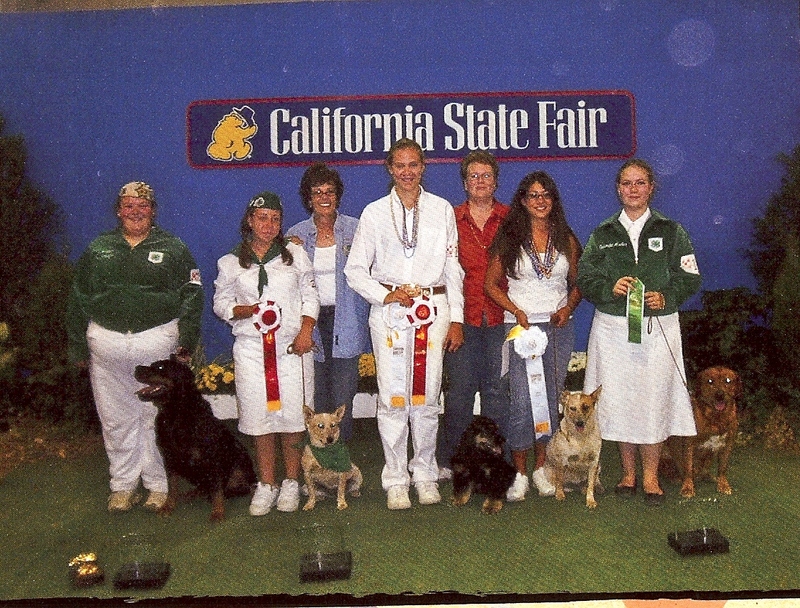 Our dogs are exhibited in both AKC and German style shows. Most of all, they have been our companions and friends. We have lived on 40 acres in the Sierra Foothills for the last twenty years, where the dogs can have room to run.bark and play without hesitation. 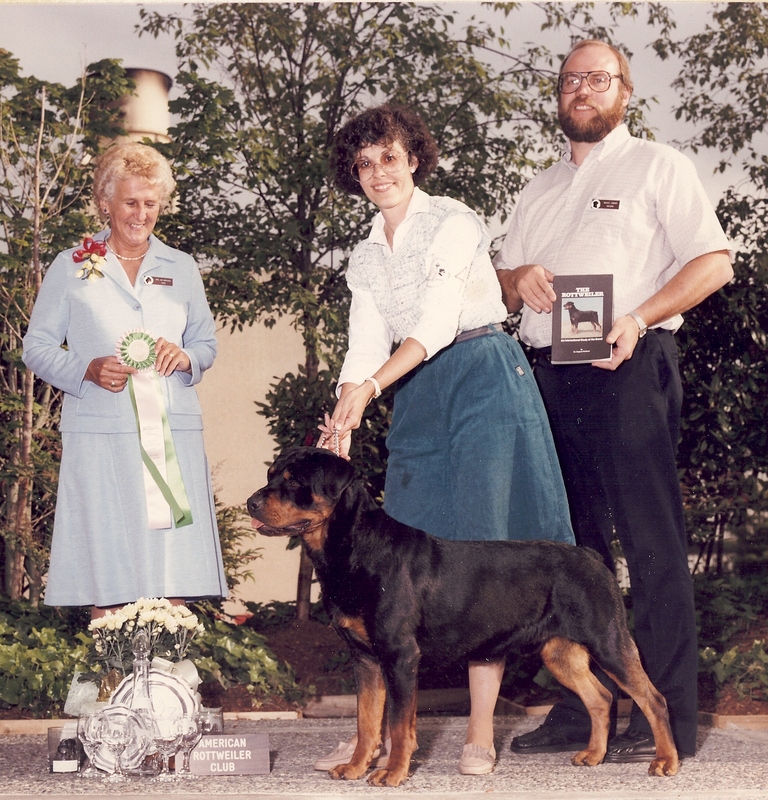 Jim has served as a sweepstakes judge for Rottweilers for both the ARC and GSRC. He has also been the translator and ring helper for many German judges over the last twenty years. 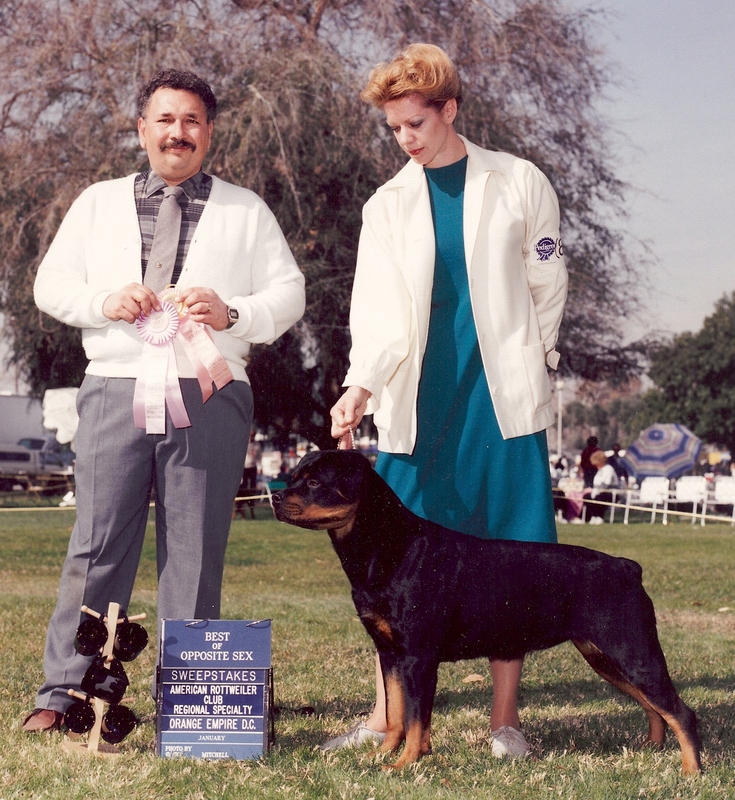 He has judged as well for the ARV, USRC and several other Rottweiler clubs. We have also been involved in helping youngsters learn to care for and exhibit their dogs through the local 4-H.